Vineyard Theatre will end 2009 with playwright Nicky Silver and actresses Patricia Clarkson, Veanne Cox and Leslie Ayvazian in “Nicky Silver and His Leading Ladies,” the third in the VINEYARD VOICES series of panel discussions with theatre artists on Monday, December 7 at 7 pm, and will kick off 2010 with actress Susan Blackwell – one of the stars of The Vineyard’s hit production of [title of show] – when she presents her wildly popular DIE VAMPIRE, DIE! WORKSHOP on Saturday, January 2nd from 2pm to 6pm. Both events will be held at Vineyard Theatre (108 East 15th Street). Playwright Nicky Silver – whose plays PTERODACTYLS, RAISED IN CAPTIVITY, THE ALTRUISTS, THE MAIDEN’S PRAYER, THE EROS TRILOGY and BEAUTIFUL CHILD have all debuted at Vineyard Theatre – will be joined by actresses Patricia Clarkson, Veanne Cox and Leslie Ayvazian for the third event in VINEYARD VOICES, a series of panel discussions with theatre artists, on Monday, December 7 at 7 pm at Vineyard Theatre in Manhattan. The celebrated playwright Mr. Silver will be joined by these actresses who have originated roles in his plays at The Vineyard: Oscar nominee Patricia Clarkson in RAISED IN CAPTIVITY and THE MAIDEN’S PRAYER; Tony Award-nominee Veanne Cox in THE ALTRUISTS; and playwright/actress Leslie Ayvazian in RAISED IN CAPTIVITY. VINEYARD VOICES — a series of panel discussions launched earlier this season — features artists and theatre professionals connected to Vineyard Theatre discussing their work and craft. VINEYARD VOICES offers an opportunity for audiences to hear artists share insightful, colorful anecdotes about working in the theatre, creating for the stage and beyond. Additionally, Susan Blackwell – star of the musical [title of show], which had a successful run at The Vineyard in 2006 prior to moving to Broadway in the summer of 2008 – will bring her wildly popular DIE VAMPIRE, DIE! WORKSHOP to The Vineyard on Saturday, January 2nd, 2010. Limited to the first 30 applicants, the DIE VAMPIRE, DIE! WORKSHOP is based on the [title of show] show-stopping musical number, “Die Vampire, Die!” – in which it is explained that “a vampire is defined as any person, thought, or feeling that stands between you and your creative self expression.” During the 4-hour workshop, Ms. Blackwell will work with participants to identify and nurture their creative ideas. Over the past year, the DIE VAMPIRE, DIE! WORKSHOP has been presented by Susan Blackwell throughout North America – from the University of Pittsburgh in Pennsylvania to Carroll High School in Texas, and from the Medicine Hat High School in Alberta, Canada, to Auburn University in Alabama. 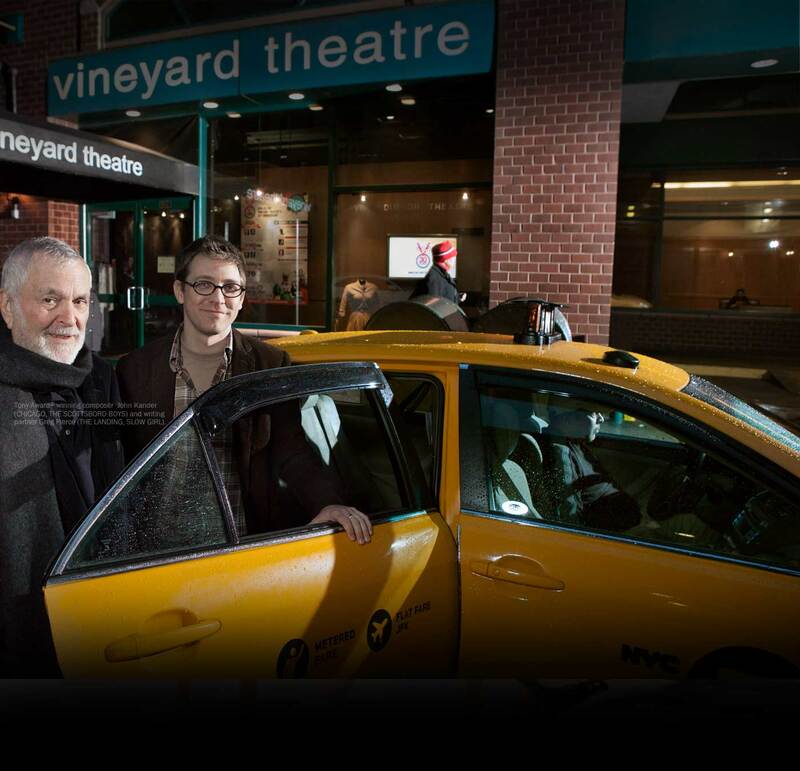 Vineyard Theatre is under the guidance of Douglas Aibel, Artistic Director, and Jennifer Garvey-Blackwell, Executive Director. Tickets for Vineyard Voices: Nicky Silver and His Leading Ladies, Monday, December 7th at 7pm are $20, and are available at www.vineyardtheatre.org, in person at The Vineyard box office (108 East 15th Street) or by phone at 212-353-0303. The DIE VAMPIRE, DIE! WORKSHOP on Saturday, January 2nd is $100 and limited to the first 30 applicants. To reserve a spot in the workshop – which lasts from 2pm to 6pm – please call The Vineyard box office at 212-353-0303 Tuesdays through Fridays from 1pm to 6pm.